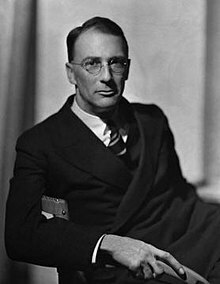 Cecil Louis Troughton Smith (27 August 1899 – 2 April 1966), known by his pen name Cecil Scott "C. S." Forester, was an English novelist known for writing tales of naval warfare, such as the 12-book Horatio Hornblower series depicting a Royal Navy officer during the Napoleonic wars. The Hornblower novels A Ship of the Line and Flying Colours were jointly awarded the James Tait Black Memorial Prize for fiction in 1938. His other works include The African Queen (1935, filmed in 1951 by John Huston). Forester was born in Cairo and, after a family breakup at an early age, moved with his mother to London where he was educated at Alleyn's School and Dulwich College. He began to study medicine at Guy's Hospital but left without completing his degree. Forester wore glasses and was of slender physique; he failed his Army physical and was told that there was no chance that he would be accepted, even though he was of good height and somewhat athletic. He began writing seriously around 1921 using his pen name. Forester moved to the United States during the Second World War, where he worked for the British Ministry of Information and wrote propaganda to encourage the US to join the Allies. He eventually settled in Berkeley, California. He met Roald Dahl in 1942 while living in Washington, D.C., and Forester encouraged him to write about his experiences in the RAF. According to Dahl's autobiography Lucky Break, Forester asked him about his experiences as a fighter pilot, and this prompted Dahl to write his first story "A Piece of Cake". Forester's 1934 science fiction novel The Peacemaker was reprinted in Famous Fantastic Mysteries in 1948. Forester wrote many novels, but he is best known for the 12-book Horatio Hornblower series depicting a Royal Navy officer during the Napoleonic Wars. He began the series with Hornblower fairly high in rank in the first novel that he wrote, which was published in 1937. But high demand for more stories led him to fill in Hornblower's life story, and he wrote novels detailing his rise from the rank of midshipman. The last completed novel was published in 1962. Hornblower's fictional feats were based on real events, but Forester wrote the body of the works carefully to avoid entanglements with real world history, so that Hornblower is always off on another mission when a great naval battle occurs during the Napoleonic Wars. Forester also published the crime novels Payment Deferred (1926) and Plain Murder (1930), as well as two children's books. Poo-Poo and the Dragons (1942) was created as a series of stories told to his son George to encourage him to finish his meals. George had mild food allergies which kept him feeling unwell, and he needed encouragement to eat. The Barbary Pirates (1953) is a children's history of early 19th-century pirates. Forester appeared as a contestant on the television quiz program You Bet Your Life hosted by Groucho Marx, in an episode broadcast on 1 November 1956. A previously unknown novel of Forester's entitled The Pursued was discovered in 2003 and published by Penguin Classics on 3 November 2011. He married Kathleen Belcher in 1926 and they had two sons, John and George Forester. The couple divorced in 1945. In 1947, he married Dorothy Foster. John Forester wrote a two-volume biography of his father, including many elements of Forester's life which only became clear to his son after his death. 1950 Mr. Midshipman Hornblower. Michael Joseph. 1952 Lieutenant Hornblower. Michael Joseph. 1962 Hornblower and the Hotspur. Michael Joseph. 1953 Hornblower and the Atropos. Michael Joseph. 1938 A Ship of the Line. Michael Joseph. 1938 Flying Colours. Michael Joseph. 1946 Lord Hornblower. Michael Joseph. 1964 The Young Hornblower. (a compilation of books 1, 2 & 3). Michael Joseph. 1965 Captain Hornblower (a compilation of books 5, 6 & 7). Michael Joseph. 1968 Admiral Hornblower (a compilation of books 8, 9, 10 & 11). Michael Joseph. 1924 A Pawn among Kings. Methuen. 1924 The Paid Piper. Methuen. 1927 Love Lies Dreaming. John Lane. 1927 The Wonderful Week. John Lane. 1928 The Daughter of the Hawk. John Lane. 1929 Brown on Resolution. John Lane. 1930 Plain Murder. John Lane. 1932 Death to the French. John Lane. Published in the US as Rifleman Dodd. Little Brown. 1933 The Gun. John Lane. 1935 The African Queen. Heinemann. 1936 The General. Michael Joseph. 1936 Marionettes at Home. Michael Joseph. 1940 The Earthly Paradise. Michael Joseph. Published in the US as To the Indies. 1941 The Captain from Connecticut. Michael Joseph. 1942 Poo-Poo and the Dragons. Michael Joseph. 1943 The Ship. Michael Joseph. 1948 The Sky and the Forest. Michael Joseph. 1950 Randall and the River of Time. Michael Joseph. 1955 The Good Shepherd. Michael Joseph. 1967 Long before Forty (autobiographical). Michael Joseph. 1971 Gold from Crete (short stories). Michael Joseph. 1927 Victor Emmanuel II and the Union of Italy. Methuen. 1924 Napoleon and his Court. Methuen. 1925 Josephine, Napoleon’s Empress. Methuen. 1928 Louis XIV, King of France and Navarre. Methuen. 1929 Lord Nelson. John Lane. 1929 The Voyage of the Annie Marble. John Lane. 1930 The Annie Marble in Germany. John Lane. 1936 Marionettes at Home. Michael Joseph Ltd.
1953 The Adventures of John Wetherell. Doubleday & Company, Inc.
^ You Bet Your Life #56-06 C. S. Forrester, author of Horatio Hornblower (Name, 1 November 1956). YouTube. 26 July 2017. ^ C. S. Forester. The Pursued. ISBN 9780141198071. ^ Forester, John (2000). Novelist & Storyteller: The Life of C. S. Forester (2 volumes) (first ed.). Lemon Grove, CA: John Forester. ISBN 978-0-940558-04-5.